My brother ruined my Cinco De Mayo. I was about an hour into the celebration at a great restaurant in San Diego when I got his call asking my if I’d be his guest at Game 2 of the Lakers/Houston playoff series. I happily canceled the celebration at that point and got my tacos to go, knowing I would need my rest for tomorrow. I celebrated Seis De Mayo with a three hour trek in traffic from San Diego to Los Angeles with a smile on my face. Kobe Bryant has always been a player I love to watch because you never know what he’s going to do next. Patrick Sullivan made a great case over the last few weeks regarding why LeBron deserved the MVP, but I think Kobe’s abilities and accomplishments this year may have been lost in the shuffle a bit. Did the right man get the award? I was curious if by watching Kobe in person I could make a case for him, at least in my own mind. As we descended the stairs at Staples Center, the smile on my face broadened. My brother, who also works in the sports industry, had really come through for us. We were sitting in the first row behind the sports writers, eye level with Yao. People always say that sitting that close to the action in at a basketball game is a different experience and I have to agree with that assessment. The Laker Girls are a little better looking, the stars in attendance seem to shine a little brighter and the players are absolute monsters. Most frightening was Yao. He comes off like a gentle giant in commercials and interviews, but I’ve never seen anything like him in person. One of the reasons I’m writing this so late at night is because I’m more than a little scared I’m going to have nightmares about the guy. Being up close to see how physical the play gets with giants like Yao and Pau Gasol under the basket was amazing. 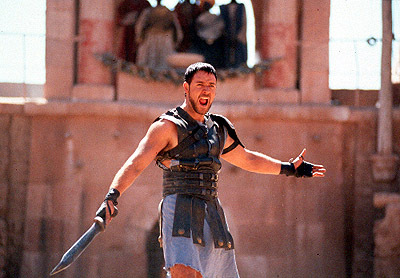 Elbows fly with reckless abandon and bodies frequently crash to the floor. And there was Kobe weaving his way to the basket in this chaotic ballet repeatedly in the first quarter. The Black Mamba struck at the Rockets quickly, registering 13 points before my seat was even warm. After seeing their large lead evaporate in the second quarter, Kobe made a difficult three-point shot to tie the game at the half. His pinpoint accuracy amazed me. There was a hand in his face on almost every shot and he seemed to love it. After the Game 1 loss to the Rockets he had frequently been quoted saying that he was happy they were having adversity and a difficult path would make achieving their goal more worthwhile. He sounded like a prize fighter who doesn’t want to duck any opponents and you have to admire that. In the second half it felt like a prize fight. Kobe came out hot and clearly had found his groove. Things were getting chippy though as Luke Walton and Luis Scola got in each other’s face in the third quarter. Then Derek Fisher hit Scola with the “Shot Heard Round the Staples Center,” sending the Argentinean star to the floor and D-Fish to the showers. As he left I strained my eyes to see if the name on the back of his jersey said Fisher or Urlacher. Clearly the referees were trying to clean up the play as best they could, but their job seemed almost as difficult as that of a peace negotiator in the Middle East. I’m fairly certain Jack Nicholson tried to order a “Code Red” on the poor guys in the second quarter. 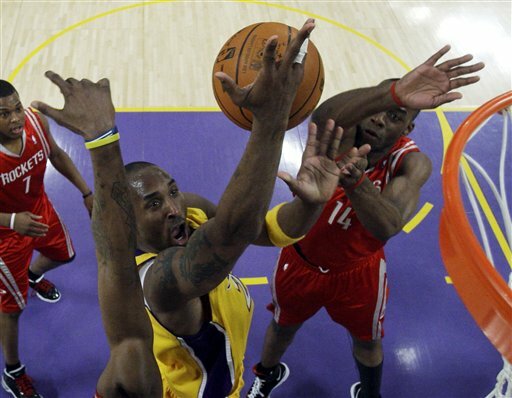 As Kobe helped the Lakers get separation from the Rockets on the scoreboard, he got tangled up with Ron Artest and things got wild from there. 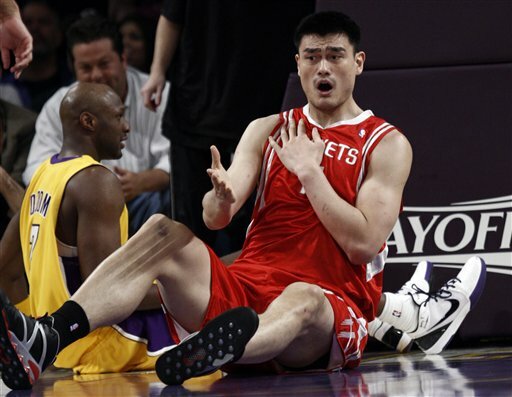 Artest felt Kobe fouled him as they struggled over a loose ball, but the officials felt differently. 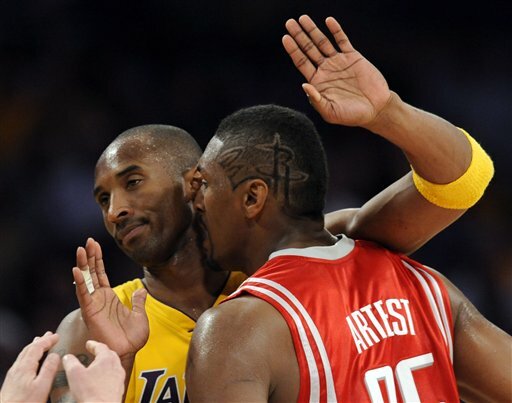 After the referees didn’t listen, Artest went to confront Kobe. A quiet roar of panic came from those of us in the stands as it wasn’t clear what he was going to do to Kobe, and maybe some were worried he would take his case to us next. It ended quickly with Artest’s ejection. Whether Kobe had meant to provoke him or not, it was clear that Kobe was the sole survivor of this challenge having outwitted, outplayed and outlasted Artest.